The apartment was better than in photos. Great location. But the pillows were very hard. We have stayed multiple times at this comfortable and cozy apartment in a lovely neighhood area. There is a convenient grogery on the piazza and bus 116 is nearby; the location is ideal. We also use their car service from and to the airport. We very highly recommend RomeLoft. 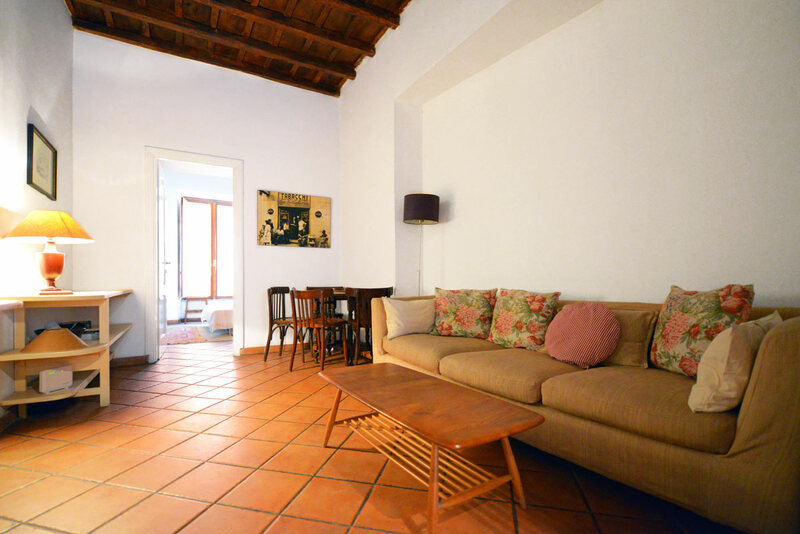 This cozy and quiet apartment lies on Via dei Banchi Vecchi. The apartment is, however, located on the first floor, thus you may not have a need for it. The very elegant building has a lift. The living room features a comfortable sofa with pillows, a library, and a few coffee tables. You will also have access to Internet Wi-Fi. The well-equipped wooden kitchen flows naturally along the wall at the end of the living area. You will find all you will need in order to prepare a nice meal. 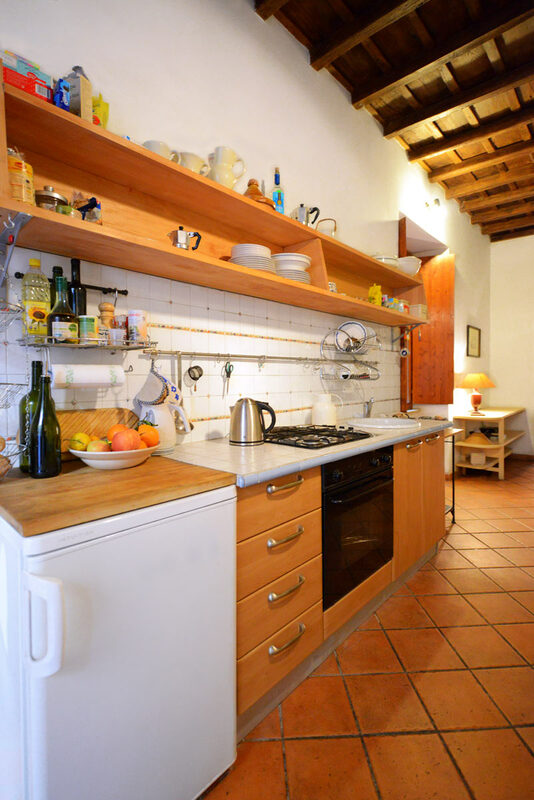 In the kitchen you will find a gas stove, an oven and a fridge, as well as a washing machine. The living area has a large and comfortable sofa with a convenient coffee table in front. This is the perfect for putting your feet up and relaxing after a long day of exploring the city. 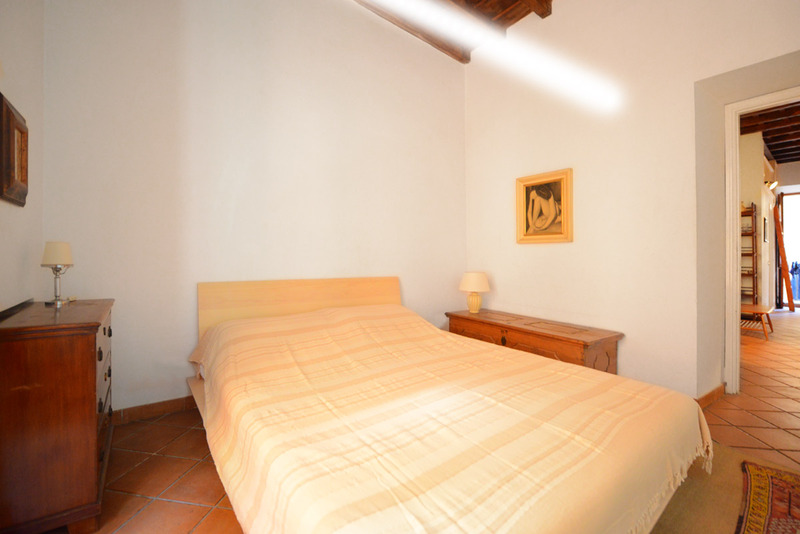 The apartment has two bedrooms: a single room, with a single bed located in the mezzanine, with a desk and a chair; and also a spacious master bedroom with a king size bed, night tables, lamps, and several closets. 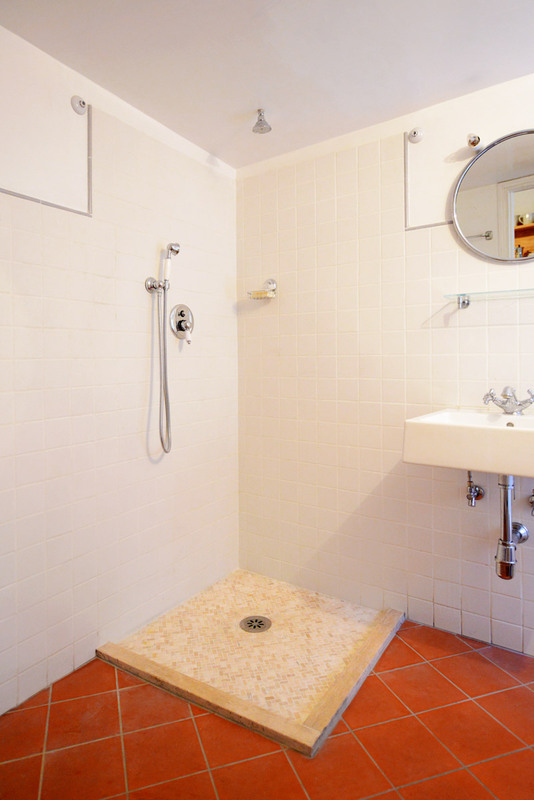 The bathroom features a large shower. The central heating moreover gives you the possibility of selecting the most comfortable temperature for you in the apartment. 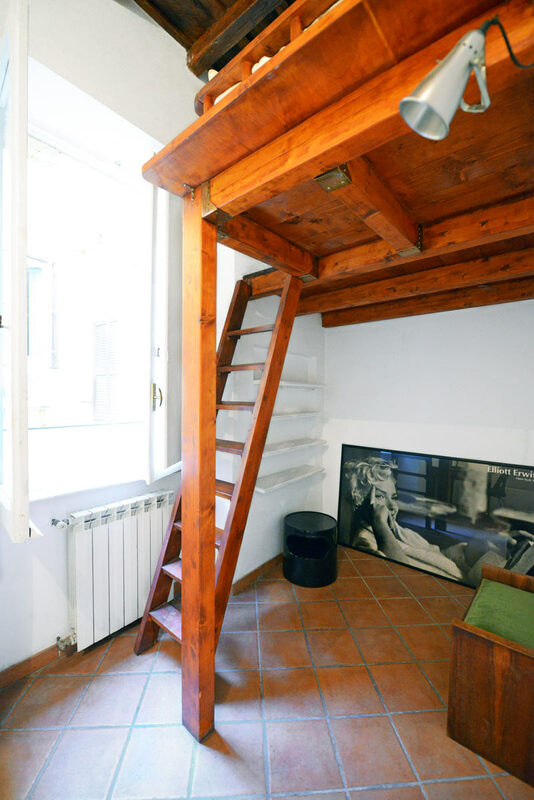 We highly recommend this nice unit for its fantastic location (right in the heart of the historical center of Rome) and for its affordable daily rate. 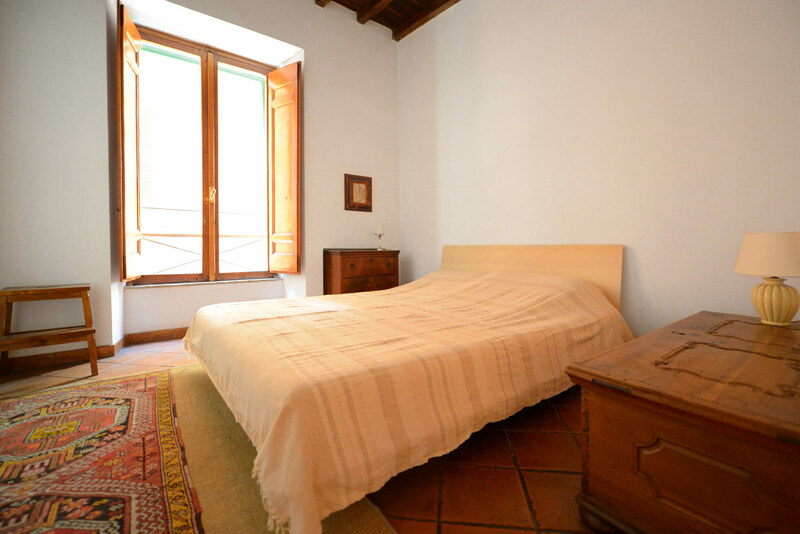 This apartment lies in a pleasant street full of antiques, at about 300 meters from Piazza Navona, Campo de Fiori and Piazza Farnese. The Campo has a great daily morning market where you can buy fresh produce which you can use to cook up a delicious meal in your apartment. This is the perfect place to stock up for those evenings when all you want to do is relax in the comfort of your own home and escape the crowds. Alternatively, this area also a great selection of restaurants serving up the very best of Roman cuisine. After a filling meal, you can moreover head to one of the atmospheric and welcoming bars in the area. We especially recommend heading across the river to the characteristic Trastevere area for an aperitivo. 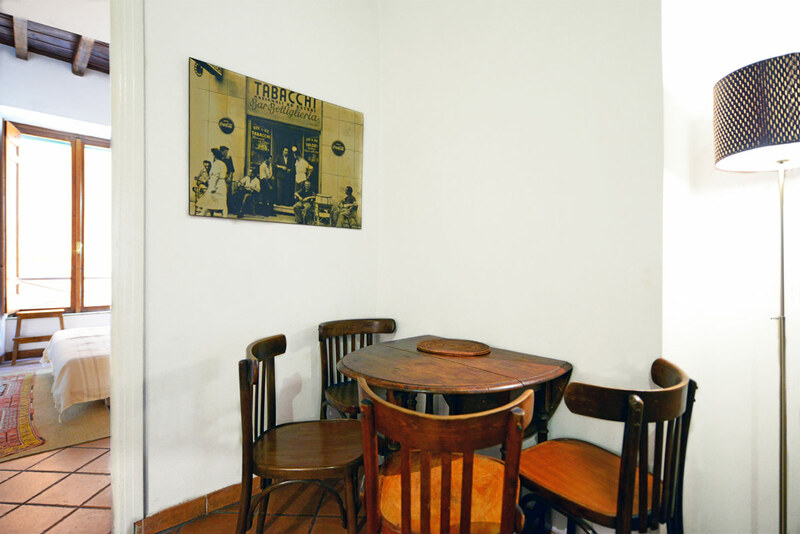 Particularly popular is the trendy Freni e Frizioni bar, though smaller places such as VinAllegro offer just as good food in quieter environments! In addition to this, the surrounding streets hold many facilities such as banks, post offices, supermarkets and pharmacies. From this apartment you’ll also have easy access to many other attractions. Within a few minutes, you will be able to walk to the Castel Sant’Angelo and the Pantheon. Just a little longer of a walk will take you to the Vatican City, Piazza Venezia, Trevi Fountain, Spanish Steps, and Piazza del Popolo. 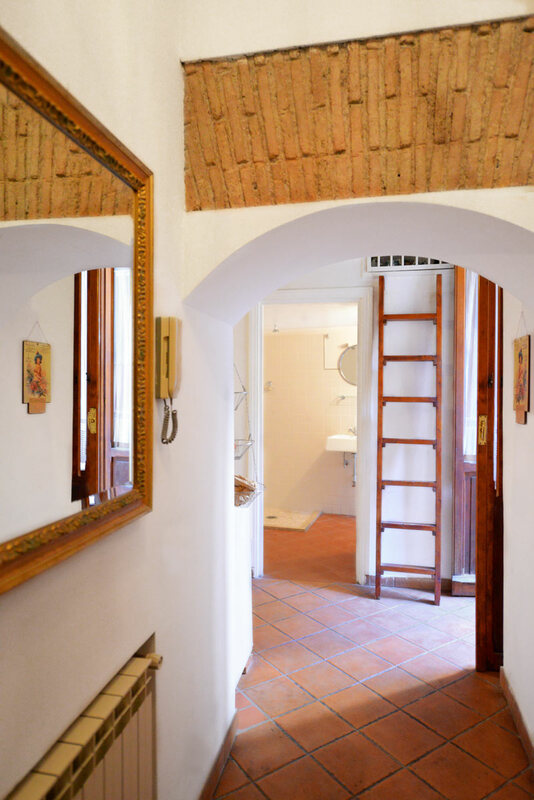 12 people are currently looking for apartments in Campo de Fiori area. Reserve yours now. The apartment was in a great location; kitchen was well supplied; directions re: garbage, wifi, etc were good. The large bed was comfortable. However the bed mattress in the loft needs replacement - the springs in it were uncomfortable. Lots of closet space. The shower curtain was a challenge as water spilled onto the bathroom floor. The restaurant...Read More downstairs was a bit noisy in the evening, but not enough to bother when sleeping. Overall it was a wonderful experience. Hi Just returned from unseasonably wet and cool Rome in April! We stayed in the Banchi Vecchi apartment, which is in a great location and ideal for walking to most of central Rome's attractions. The apartment itself is compact but suited 3 of us. Kitchen has plenty of dishes and pots/pans etc as well as small supply of coffee, tea and...Read More cooking oils. We used some tea and replaced this with a new box before we left. There was also liquid for the washing machine in the bathroom though we did not use this during our stay. The bathroom was small but there was a good supply of toilet paper and hand wash. No bath tub just a shower which was a bit grubby and could be cleaned up/improved. Our host was helpful and gave us all the information we needed. We will definitely use Romeloft again. Wonderful apartment right in the heart of Rome. We were just there for a weekend but felt like locals in our beautiful central space. Our flight was horribly delayed, but our transfer and host were waiting patiently until our arrival at 2.30am!! And kind enough to return my earrings that I accidently left behind as well. A very warm and personal ex...Read Moreperience that I thoroughly recommend if you want to feel like a visitor not just a tourist.